Ferguson Photography and Design includes a full evaluation of your hosting needs with all custom design sites, template sites and site updates. So, if the following is confusing or intimidating, you can just ignore it and let us do the worrying! A website residing on your or our computer can not be seen by the general public. In order for a website to be shared with everyone else on the web, it must be "hosted". The host then "broadcasts" the site to the entire world wide web. Some web design firms sell hosting on a personal server, a single computer in the company office. If this computer crashes, needs repair or looses power then your site is off line. 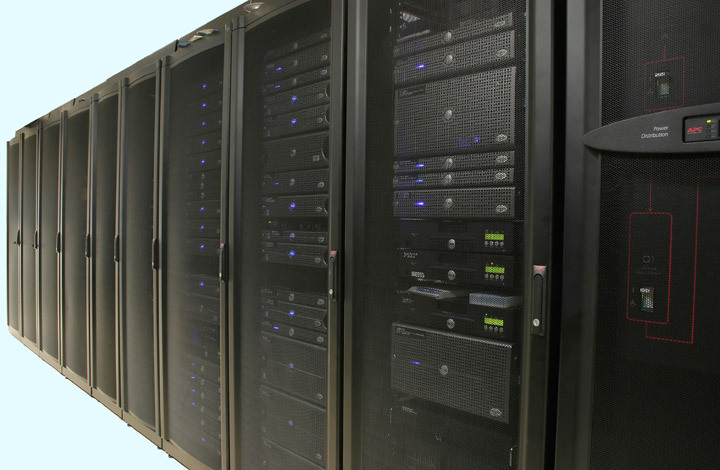 For the security and reliability of our sites, we resell space on a large server farm with multiple backups. Ferguson Photography and Design offers three levels of hosting. We only host sites we have designed or updated. We are not in the hosting business for the general public. We are also happy to work with your existing host. You are not required to change hosts in order for us to design or modernize your site. Please note that some webpage features (primarily e-commerce and database features) have very specific host requirements that may not be met by your current host. If we are designing a new site for you, the "under construction" site can be hosted for free on our server. This free hosting will have a long "customer unfriendly" URL (www.ferguson-photo-design.com/temp/yourname/). You will need your own hosting account when the site goes "public". Public meaning that the site is submitted to search engines or has a live payment link or is widely distributed and using more than 50MB per month of transfer or has been under development for more than 9 months. Optional: E-Commerce SSL Security Certificate $80 per year, in advance. Not needed for PayPal accounts. Not needed for sites without a "store". Optional: E-Commerce SSL Security Certificate $55 per year, in advance. Not needed for PayPal accounts. Not needed for sites without a "store". Getting a host and registering a URL are two different services. They are both needed before people can view your website on the world wide web. GB indicates "gigabytes" and MB indicates "megabytes". There are 1,000 MB in one GB. Storage is hard disk space on the host's server. This determine how big (how many pages, pictures, animations) your site can hold. This website (Ferguson Photography and Design) uses about 70MB (0.07GB) of storage. Transfer is the total of all the bandwidth your customer's use. If one customer per month looks at one page with a 0.1MB image, your transfer is 0.1MB. If 1000 customers per month look at that same page, your transfer is 100MB. This website (Ferguson Photography and Design) typically uses 3500MB (3.5GB) per month of transfer. Email service from a host can allow you to have "name@sitename.com" type addresses. This is often perceived by the public as more professional than "name@gmail.com" or "name@aol.com" email addresses. You can link any email address you have on your website, you are not required to use the host email. Our "Full" and "Medium" hosting services offer complete email plans. You can use the "name@sitename.com" accounts on your website, and from your own computer, to send and receive email. You can also access your email remotely by webmail, a great way to check your company email while on vacation or away from your office. These plans offer the client a control panel to add, delete, or change email accounts. Our "Small" hosting service offers only an incoming email with auto forward. You do get one "name@sitename.com" address, but it can only be forwarded to an email account you already have from your Internet Service Provider (such as "name@aol.com"). Because any reply you send to your customers will be from your existing email (such as "name@aol.com") this is of limited use. You can link any email address you have on your website, you are not required to use the host email. FTP boxes allow you to transfer files too large for email. Both you and your recipient must have FTP software (some web browsers will work) and an understanding of File Transfer Protocol. Databases are primarily used for e-commerce and blogs. A database is not needed for an e-commerce site selling a limited number of products with PayPal as a credit card service. SSL Certificates are needed for e-commerce using a bank or ISO credit card service. A certificate isn't needed if you are using PayPal as a credit card service, because PayPal already has one. A certificate isn't needed if your site is not "selling" anything directly from the site. Control panels allow you, the client, to directly access your site for updates, uploads, downloads, email account changes and reports. Managing your company email accounts can be advantageous if you have numerous email names and regular changes. File types supported indicate the programming languages available on the host. The primary restrictions within our hosting options are in our 2 smallest offerings. Due to storage and transfer limits there are restrictions or limitations on Flash and/or video. Ferguson Photography and Design includes a full evaluation of your hosting needs with all custom design sites, template sites and site updates. So, if all of this is confusing or intimidating, you can just ignore it and let us do the worrying! We only host sites we have designed or updated. We are not in the hosting business for the general public.